Japan has more jobs than it knows what to do with. Government data published Tuesday revealed that the country's labor shortage has reached its most extreme level in more than 40 years. Japan now has 1.48 jobs for every applicant. That's the highest number since 1974, when rapid growth pushed the ratio to 1.53. It also exceeds the labor shortage peak Japan hit during its economic bubble years in the early 1990s. 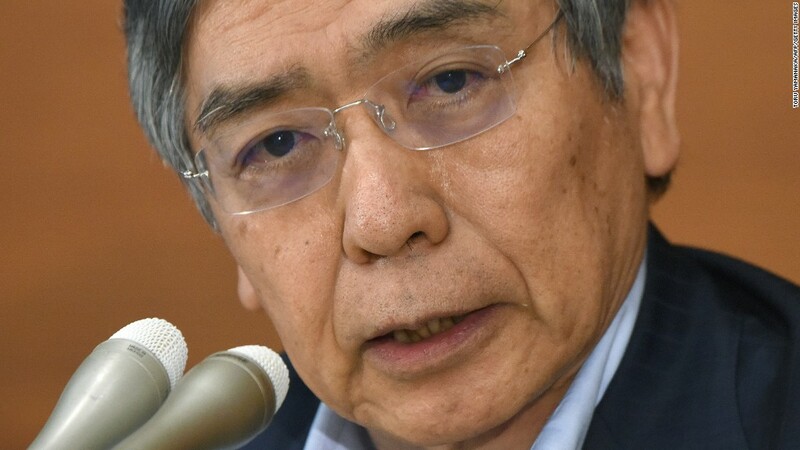 The current situation is generally good news for Japan's economy. "There's lots of people entering the labor market, which is one upside," said Marcel Thieliant, senior Japan economist at research firm Capital Economics. The number of older people and women joining the workforce has increased because "the labor shortage is forcing companies to hire people who previously weren't looking for work," he said. That suggests Prime Minister Shinzo Abe's plan to get more women into work to lift the economy is bearing some fruit. The new labor figures point to a slight fall in Japan's unemployment rate in the coming months, Theliant said. They are also fueling hopes of a turnaround in sluggish consumer spending, which is expected to rise as more people enter the workforce. But at the same time, the labor shortage highlights some of the difficulties Japan is facing. While the Japanese economy is growing, the labor market figures are more indicative of a shrinking pool of workers than a rise in the number of jobs, Thieliant said. A rise in life expectancy and lower birth rates have created an aging population and dwindling workforce in Japan, posing a threat to the country's future economic growth. Japan is notoriously adverse to the idea of using immigration to offset the decline. The tightening labor market hasn't so far translated into significant increases in pay for most workers. And there are also signs some Japanese companies are shifting jobs abroad because they can't find enough workers at home, Thieliant said.